For most of my life, I was never really a big fan of breakfast food. I’d eat the occasional bowl of cereal, and one year of high school I had an omelette almost every day, but other than that, I felt that breakfast left a lot to be desired. 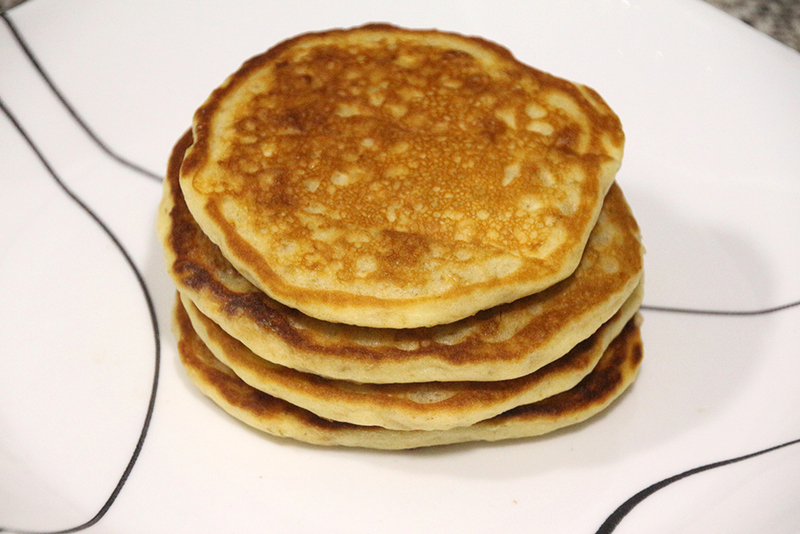 In fact, up until a couple years ago, I could count on one hand the number of times I’d had pancakes. Breakfast just wasn’t my thing. Then, I met TJ, who really enjoys a great Saturday morning breakfast , and I have to admit, I started to see the appeal of breakfast foods. (He makes the BEST hash browns around, so those probably helped to convince me). During the week I still just have something quick (like these breakfast drinks), but now, we have a little Saturday morning breakfast tradition. Most of the time we make breakfast together (more often than not, scrambled egg sandwiches), and sometimes we go out, but without fail, we always have an unwritten Saturday morning breakfast date. 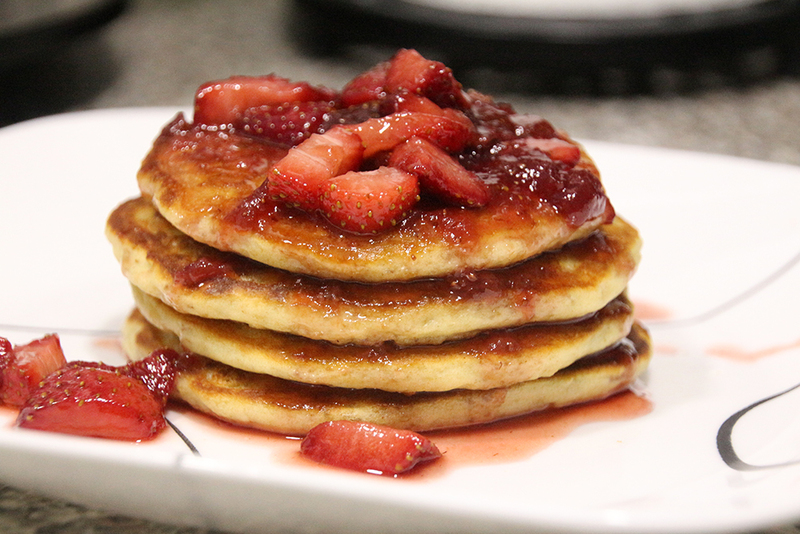 Last weekend, we made these oatmeal pancakes with a simple strawberry sauce, and they’ve become a front runner for my new favorite breakfast meal. 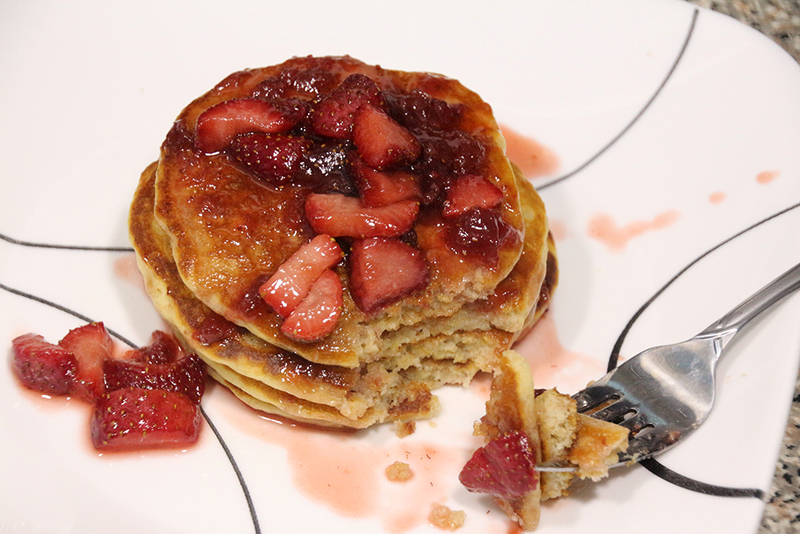 The oats make the pancakes a little heartier than regular pancakes, and the strawberry sauce adds the perfect amount of sweetness. If you’re planning to eat breakfast tomorrow, these are what you should be having! 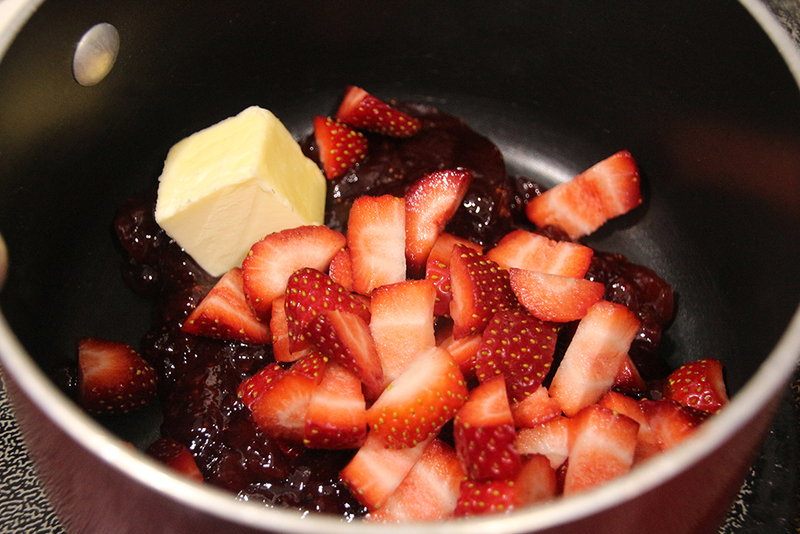 Heat the strawberry preserves, fresh strawberries, and butter in a small saucepan over low heat, stirring occasionally. 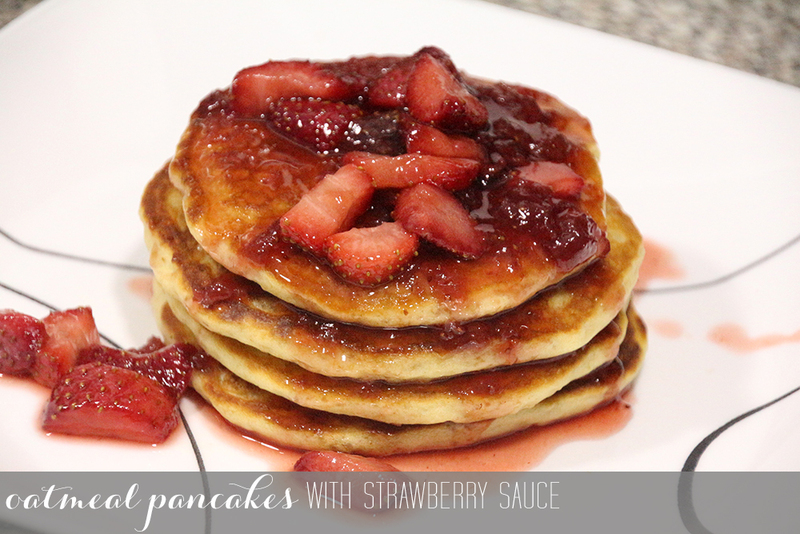 While the strawberry sauce is heating, begin on the pancakes. 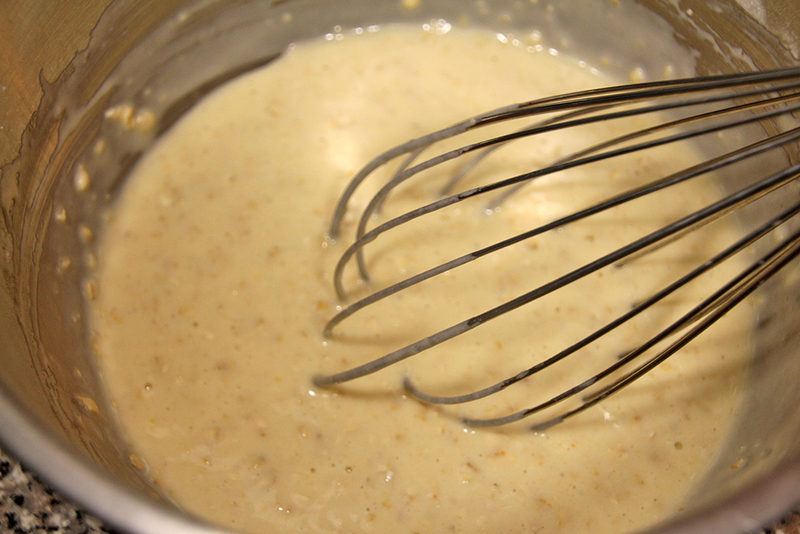 Beat all of the pancakes ingredients together with a whisk, just until smooth. Spray a skillet with cooking spray and heat over medium heat. 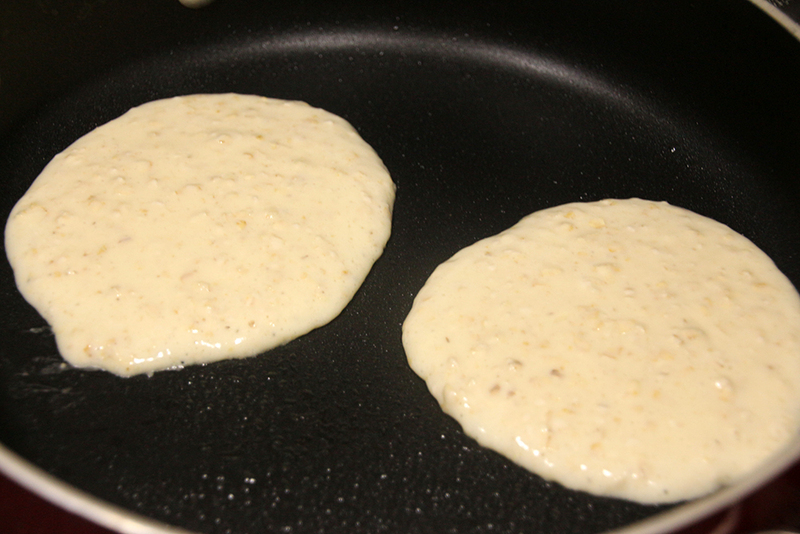 Pour 1/4 cup batter into the pan for each pancake, being careful not to crowd the pan. 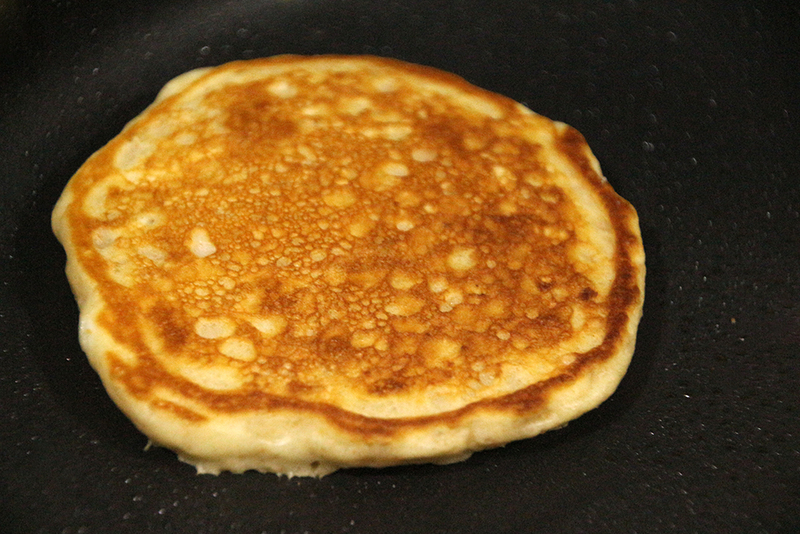 Cook the pancakes until they are puffy and dry around the edges. 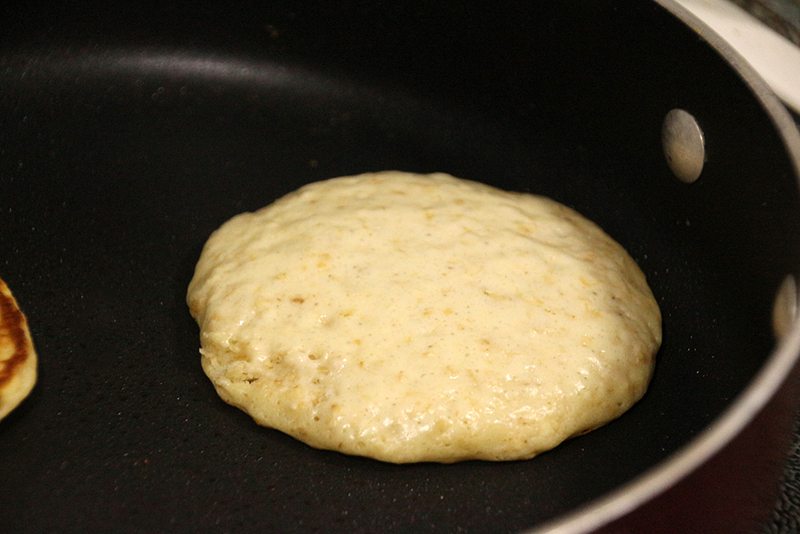 Flip and cook until golden brown. Top with the strawberry sauce and enjoy! Oh wow. Those pancakes look absolutely delicious. Drool-worthy!